We will be CLOSED on Monday, February 20 for Family Day. Our regular store hours will resume on Tuesday, February 21 at 9:30am. Join us for our first Titles@Table40 evening of 2017! 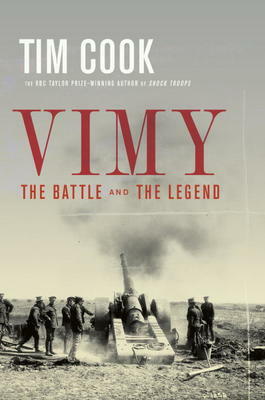 Beloved local historian Tim Cook will be on hand to talk about his new book Vimy: The Battle and the Legend. Tickets for this event are available in-store now! They’re bound to go quickly, so call us or come by to get yours today! The month of love is upon us! Or is it the month of outdoor winter activities? Maybe the month of groundhogs? 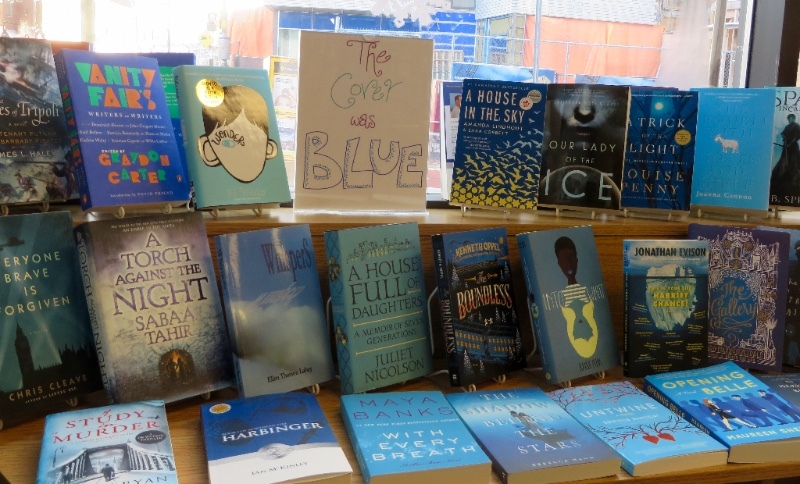 No matter how you slice it, there’s no denying that February is still safely situated in the depths of winter – a time of year when we are more in need than ever of good reads to bring us comfort and keep us company until spring finally arrives. What better way to relax and clear your mind this time of year than with a few lovely, quirky books full of musical and literary curiosities? Currently capturing our attention is For the Love of Classical Music by Caroline High. This charming book takes readers on a light yet thorough tour of the history of the world’s finest music. From the Medieval period to modern times, this exploration of famous pieces, performances, composers and surprising facts will delight all music lovers – from the casual listener to the serious aficionado! What Caroline High has done for music, Oliver Tearle has done for books. The Secret Library is a delightful tome of little-known facts, surprising stories, and curious truths about famous (and not so famous) authors, ancient texts, and how history itself has been influenced and affected by different writings over the centuries. On a slightly less grand and more scientific bend, A is for Arsenic: the Poisons of Agatha Christie by Katherine Harkup, explores fourteen of the Queen of Crime’s mysteries and the different poisons featured in each one. Written with finesse and a real admiration for Christie and her mysteries, this book will simultaneously inform and delight you! As an author who lights up the literary world with his dark humour and often twisted and chilling tales, Neil Gaiman is always a treat to read! In his newest book, Norse Mythology, he takes on the mammoth task of retelling the legends of Odin, Thor, Loki and company. Although this is a collection of individual myths, Gaiman has ordered the stories from the genesis of the gods through to their eventual downfall in Ragnarok. So, while it can be enjoyed in bits and pieces, one story at a time, it can also be read all the way through, leaving the reader with the satisfying feeling of having read a great novel. In Garden of Lamentations, mystery author Deborah Crombie gives us a peek into the serene, sun-dappled private gardens of Notting Hill. While they may look peaceful and picturesque, these oases of relaxation soon become tangled up in a series of tragic murders that fall to DI Kerry Boatman to solve. As the sixteenth installment in the Duncan Kincaid/Gemma James series, this mystery is bound to thrill new and longtime Crombie fans alike. Heather O’Neill, the Giller Shortlisted author of Lullabies for Little Criminals, The Girl Who Was Saturday Night, and Daydreams of Angels, has gifted us with yet another stunning read. The Lonely Hearts Hotel is set in Montreal between the two world wars and follows the exploits of two orphans with extraordinary talents. A story full of love, music, struggle, and adventure, Pierrot and Rose will capture your heart and take you on the journey of a lifetime. So far this year, our young adult section has been graced with some wonderful new fantasy releases that are definitely worth a look. Hot off the press is Caraval by Stephanie Garber. Combining the sensibilities of Suzanne Collins‘ The Hunger Games and Erin Morgenstern‘s The Night Circus, Caraval will sweep you away to a magical once-a-year performance where audience members get to participate in the show. For Scarlett, receiving an invitation to the show is not only an opportunity to escape her cruel and powerful father, but it’s also the fulfillment of a dream she never thought would come true. While she’s been assured that everything that happens during Caraval is only an elaborate performance, when her sister is suddenly kidnapped, Scarlett must decide what is real and who she can trust in order to save herself and her sister before it’s too late. In Mechthild Glaser‘s new novel The Book Jumper, Amy Lennox discovers that she has the most incredible (an enviable) talent: she can leap into any story and interact with the world inside! As she becomes more comfortable with her new existence, Amy soon discovers that someone is stealing from the books she’s been visiting. With the help of a fellow book jumper, Amy must track down the thief before he strikes again…or catches up with Amy herself. Another real gem of a read is The Girl From Everywhere by Heidi Heilig. This intriguing story of fantasy and time travel will hook readers on page one and keep their eyes glued to the action until the very end. In CBC book news, the Canada Reads 2017 Shortlist has been announced. This year’s books are Fifteen Dogs by Andre Alexis, Company Town by Madeline Ashby, The Right to be Cold by Sheila Watt-Cloutier, Nostalgia by M.G. Vassanji, and The Break by Katherena Vermette. Defended by Humble the Poet, Tamara Taylor, Chantal Kreviazuk, Jody Mitic, and Candy Palmater respectively, this year’s edition of our national Battle of the Books will no doubt be marked by lively, passionate debate as the panelists decide which book all Canadians should read. The debates kick off on March 27. The evening starts at 5:30pm with dinner, followed by the author presentation and book signing. Attendees must reserve their spot through the bookstore with a non-refundable deposit of $20.00 which will go towards the cost of the meal (a set menu with a vegetarian option). The total cost of the meal is $40.00, which includes a three course meal (family-style). No substitutions will be allowed. Tax, 18% gratuity, and refreshments are not included. Tickets are available for purchase in-store now. They usually go pretty quickly, so call or visit us to get yours today! It might be miserable outside, but it’s cozy and warm here in the store. So, throw off those February blahs and come down to visit us and buy a book or two! Whether it’s a romantic book for your honey for Valentine’s day (maybe The Princess Bride by William Goldman, Persuasion by Jane Austen, or a biography of the world’s most famous lover, Casanova by Laurence Bergreen), or just a treat for yourself (like City of the Lost by Kelley Armstrong, The Dogs of Littlefield by Suzanne Berne, or Mr. Splitfoot by Samantha Hunt), we’re sure we have the perfect thing to tickle your fancy and keep you safe from the cold, winter weather!